In 1360 Edward III issues a call to arms, as sporadic attacks by the French threaten to turn into a full-blown invasion. In Cambridge, fear of the enemy is magnified by the belief that foreign agents are lurking in the area. Tension runs ever higher as rumours and ignorance fan the flames of suspicion amid preparations for war. And then the first murder occurs - of a French scholar living in the town. 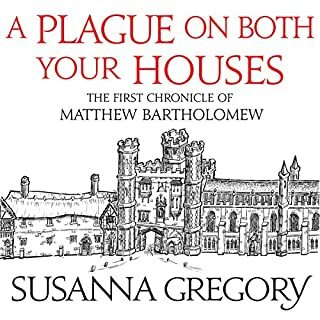 On a bitter winter evening in 1356, Matthew Bartholomew and Brother Michael arrive in Lincoln - Michael to accept an honour from the cathedral, and Bartholomew to look for the woman he wants to marry. It is not long before they learn that the friary in which they are staying is not the safe haven they imagine - one guest has already been murdered. I rarely write reviews but feel driven to warn people away from this awful book. The plot is turgid, the numerous minor characters confusing, and the main characters tedious and predictable. The narration is so slow that I kept checking to make sure I hadn't accidentally set my ipod to 'slow speed'!! It really is like having your teeth pulled. I listened to two thirds of it determined to get my moneys worth but just had to give up - there are only so many 'staged' plot recapitulations one can take - and this has them every 5 minutes - in fact there are more recapitulations than actual plot!! 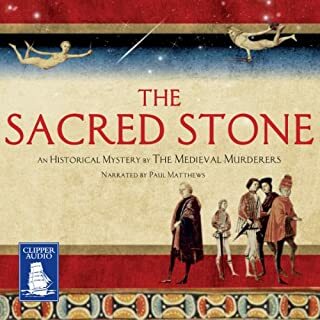 This was a very hard one to review objectively because while the story itself is interesting, in the Audible version it is, in my opinion, spoiled by the narrator. The narrator, Andrew Wincott, has an annoying overly dramatic style which renders the characters unbelieveable and the descriptive scenes forgettable. 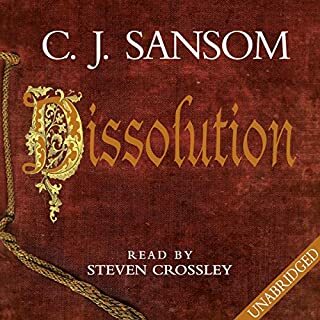 I've given this 4 stars because it is not fair to penalise Susanna Gregory for the short-comings of the narrator, but because the narrator ruined the audio-book, I cannot give 5 stars. This is a prime example of where a narrator's style can intrude on the story and ruin it. The narrator should be an enhancement, not a distraction. 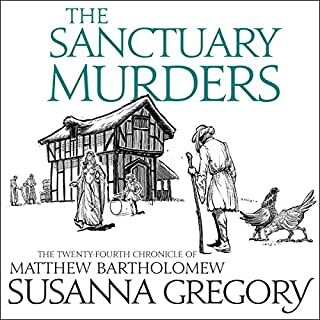 I really like Susanna Gregory's stories: nicely complicated plots, interesting and well-drawn characters, thoroughly convincing historic context. However although I've always preferred the Audible performances read by Gordon Griffin. I've listened to Andrew Wincott reading 'Mark of a Murderer' and it was fine. However, I was really disappointed in his reading of this book; sometimes his interpretation completely changed the sense of the words, characters spoke with heavy overtones of meaning that the text simply did not imply, undue emphasis was given to trivial comments but not enough to significant moments in the plot - it really spoilt it for me. I found myself wondering what he author had really meant, and trying to reinterpret it. On top of this, it was read painfully slowly at times - bored to the point of dropping off to sleep at times and having to re-listen just to pick up the plot. I was releved to find wasn't the only reader who thought this. Sorry! i enjoyed this story in the main but missed the familiar settings of Cambridge, however it was good to stretch our legs and take in new surroundings. i found it hard to hold on to all the various characters losing track of who was who initially. The storyline didn't seem quite so strong and the excess of deaths seemed to literally clutter the scene. I found the eventual twists and turns at the end a little unlikely, but I had sort of guessed where we might be heading, despite the odd fiery red herring!! An enjoyable untaxing murde mystery none the less. I LOVE this series of books, but to have two in the middle read by a different narrator and with different voice characterisation rather spoils the storyline. The story however is as intricate and fascinating as always. The narration was really beginning to grate on me - and my ears. The various characters are mostly indistinguishable, Michael' s rumbling voice still does not suit him after the well mannered lisp of previous performances and the whole story is read like a tragedy. I would recommend reading this book and go back to the audio version from the next one on. 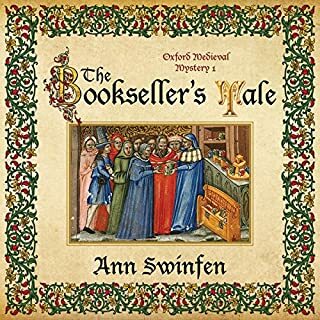 A convincing and atmospheric description of medieval Lincoln, with two engaging main characters, however the plot was far too complicated to take in in audio book form. it felt like there were over forty characters, lots of sub plots and a dual timeline in which it kept referring back to events in Cambridge years before. I stuck with it and listened to the end, and the resolution was satisfying enough, but the sheer amount of plot stilted the enjoyment. The body count, the ridiculous conclusion, and the wooden performance. Has The Tarnished Chalice put you off other books in this genre? Only ones written by the same author. What didn’t you like about Andrew Wincott’s performance? Wooden in the extreme! Sententious, slow, over-emphasised in way too many places. Did The Tarnished Chalice inspire you to do anything? Only to never listen to anything by the same author or the same reader again! This was the first book I have listened to from Audible that was thoroughly disappointing in almost every aspect. The situation was the only redeeming feature, along with the characters of Matt and to a certain extent Michael. I have wasted a lot of hours hoping that the wooden performance would prove worth struggling through, and gave up on it half an hour before the end when the most ridiculously unlikely person proved to be behind the inordinately unlikely body count. This book is jammed with plot twists, well developed characters, and historical details. This time Matthew and Michael are in the city of Lincoln trying to stay alive while the city simmers with violence. Andrew Wincott did a fantastic job with many different voices. I enjoyed this book thoroughly!! Although I loved the premise of the story and am I big fan of historical mysteries, I found this book very hard to finish. I suspect it was the rather strange, stilted diction and pacing of the narrator, rather than the story, but I found it so off-putting, I really can't be sure. I strongly recommend you listen to the audio sample provided. See if you can get past the narrator before you buy. 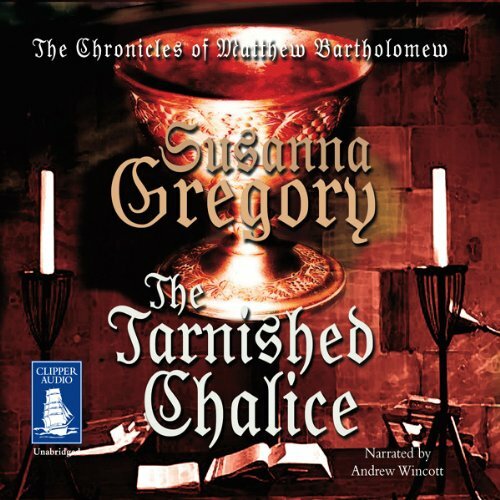 Where does The Tarnished Chalice rank among all the audiobooks you’ve listened to so far? Which character – as performed by Andrew Wincott – was your favorite? 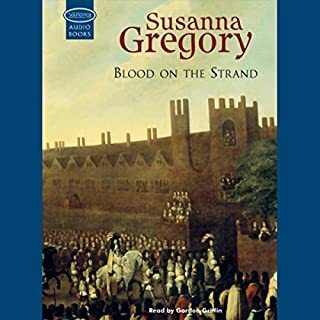 I'm a big fan of Susanna Gregory and my reaction is that I want more of this wonderful series on audio! Audible! give us consistency! please! For some reason after several books from a different publisher narrated by David Thorpe, now there are three in a row narrated by Andrew Wincott from this publisher. I'm sure Wincott is fine but changing the voices and name pronunciation midstream is frustrating. I'm sure it is a UK/US version issue but I am attached to the characters' voices and I spent this book and the last waiting for them to be over so I could get back to Thorpe's narration. Edit: I gave up and skipped ahead to other books. I've now made it to a new several Wincott books....it is really Michael's voice that I am so attached to that I cannot abide the difference. I will buy these books because I am into this series but I will only listen when I run out of Thorpe-narrated books. I was looking forward to this book as I love the genre and the description sounded intriguing. However, the book was long, boring and repetitive. The subplot about Matilde was very unsatisfying to me. The narrator was very good, though, and kept me listening to the bitter end. Ugh. I couldn't bear to finish it.